The free upgrade is a 5.70 GB download, and claims compatibility with OS X 10.8 or later. Mojave has three new apps that were originally iOS apps: Apple News, Stocks, and Voice Memos. There’s also a new Home app for managing internet-of-things devices. It’s not a major revamp of the operating system (it’s been a while since the Mac has had one of those), but it does add new features that can help you be more productive with your Mac. An OverSight-like feature is now built into Mojave that can alert you when an app wants to access the camera and mic, as well as iTunes device backups, Time Machine backups, your Mail database, your Message history, your Safari data, and other data. Mojave makes Quick Look most robust, providing simple editing tools so you don’t even need to open an app. Now when you preview an image (select it and then press the space bar), you can click on the Quick Actions icon between the Rotate icon and the Open in Preview button, and a set of editing tools appears. As with any macOS upgrade, best practices are to backup your current Mac’s hard drive (using Time Machine and/or SuperDuper) and do the installation when you’re not stressed and when you do not need to use your Mac for an hour or two. Then give yourself some time afterwards to acclimate to the new look of some things. Paid versions are subscriptions, annually debiting your credit card (unless you disable that setting in your account). And if you only have a single PC, look for a product edition for an appropriate number of devices (rather than a more costly “premium” edition which may cover 5 or 10 devices). And remember that best practice is to use one of these highly rated security programs and at least the free version of Malwarebytes. Note that many of these products have mobile editions. Mac (Apple): Here’s MacWorld’s review for Mac, “Best antivirus for Mac: Protect yourself from malicious software” (September 4, 2018). Note that Malwarebytes also is available for the Mac. You’re paranoid about security. Some say that the update is essential in order to get a complete set of security fixes, but it’s not like Apple is going to keep Sierra unpatched. Enterprises are running even older versions and they’ll continue to be patched. But if you think the potential security advantages outweigh the possibility of running into application issues, then update. Your system has an SSD, not a Fusion Drive or HDD. You’ve updated your iPhone or iPad to iOS 11 and shoot photos and videos with the new file formats. You’re a big Photos user. You have a complicated family to manage with iCloud. Best practice usually is to wait awhile — a week to a month — before upgrading. If your Mac is not running Sierra (10.12) and is compatible, then upgrading definitely makes sense. 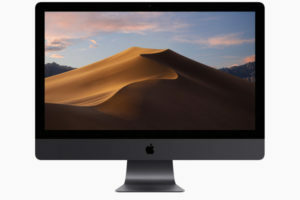 If you decide to upgrade, first backup your Mac’s internal hard drive (or at least all your personal files); and do so when you don’t need to use your computer for a few hours. This CNET YouTube video (below) reviews the changes. Fine-tune color and contrast in your photos with new Curves and Selective Color tools. Access third-party apps directly from Photos and save the edited images back to your Photos library. Create printed photo products and more using new third-party project extensions. Customize your browsing experience with new per-site settings for Reader, page zoom, content blockers, and more. Pin your favorite notes so they’re always at the top of the list. Share a single iCloud storage plan with your family and keep everyone’s data backed up and safely stored. Update to a new file system architecture designed for all-flash Macs. Protect your entire drive with built-in native encryption for greater security. Build state-of-the-art apps with features that accelerate common machine learning functions.